Enamel: The hardest, white outer part of the tooth. Enamel is mostly made of calcium-phosphate, a rock-hard mineral. Dentin: A layer underlying the enamel. It is a hard tissue that contains microscopic tubes. When the enamel is damaged, heat or cold can enter the tooth through these paths and cause sensitivity or pain. 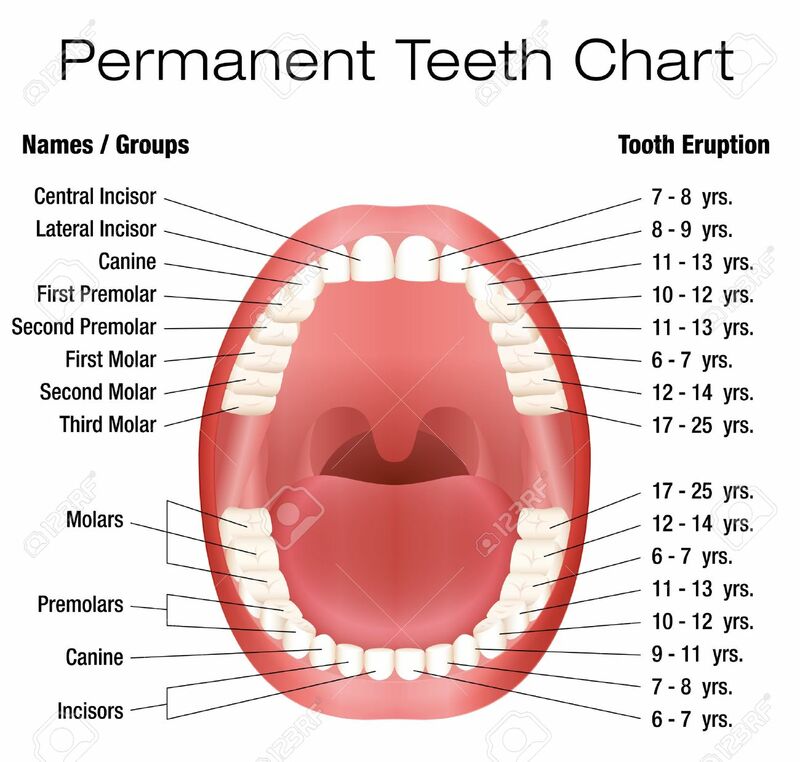 Cementum: A layer of connective tissue that binds the roots of the teeth firmly to the gums and jawbone. Periodontal ligament: Tissue that helps hold the teeth tightly against the jaw. Incisors (8 total): The middlemost four teeth on upper and lower jaws. Canines (4 total): The pointed teeth just outside the incisors. 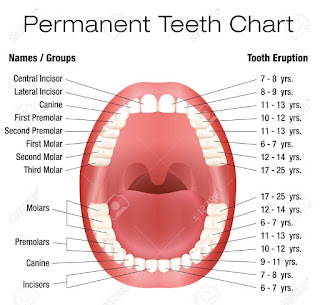 Premolars (8 total) teeth between the canines and molars. Molars (8 total): Flat teeth in the rear of the mouth, bed grinding food. Wisdom teeth (3rd molar)(4 total): these teeth erupt at around age 18, but are often removed by surgery to prevent displacements of other teeth. Peridontitis: Inflammation of the deeper structures of the teeth (periodontal ligament, jawbone, and cementum). Poor oral hygiene is usually to blame. Tooth sensivity: When one or more teeth become sensitive to hot or cold, it may mean the dentin is exposed.